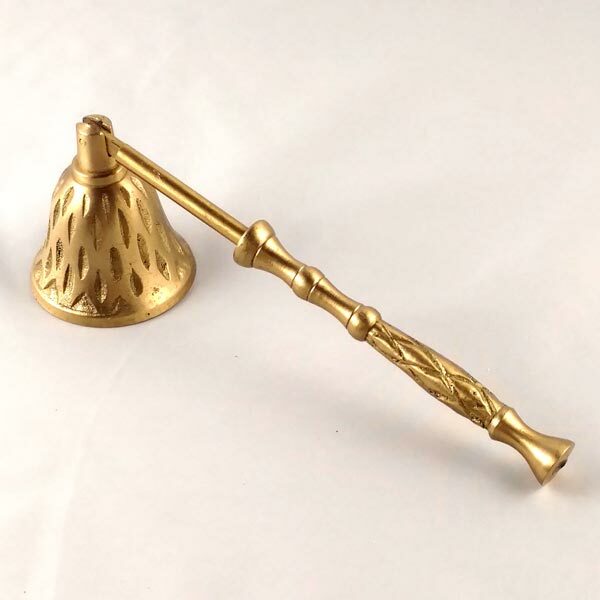 This brass renaissance candle snuffer features a hinged dimpled bell and a handle styled with a Renaissance flair. These are great for snuffing tall jar candles as the snuffer bell is free swinging. Length: 7" when extended flat, 6" when standing as in photo.